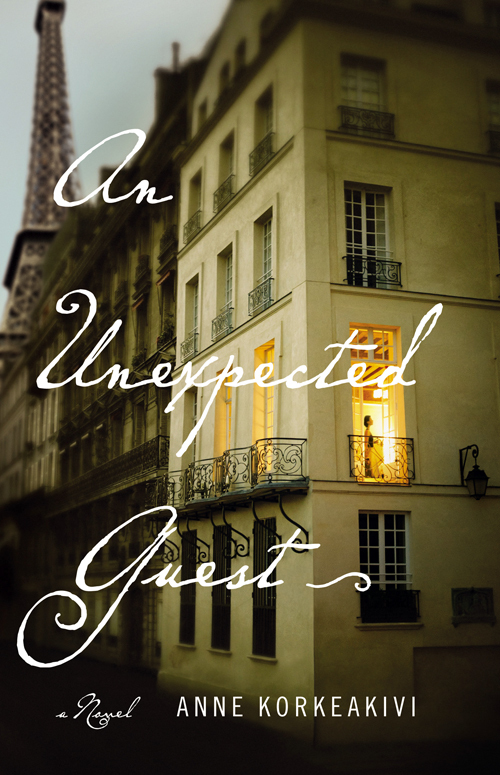 I chose Korkeakivi’s An Unexpected Guest on somewhat of a whim. Of course, I loved the cover, the setting of Paris, and the incorporation of a dinner party amongst a plot of larger issues. I was under the impression it would be a simple story: a woman helping her husband in his career, the formation of a menu and floral arrangements, and the introduction to two characters that would greatly impact the situation. What I found however was the story of a character I could not relate to in almost any way, except that she was American. Clare Moorhouse is the Irish-American wife to British diplomat Edward, both living in Paris in current day. Clare is regarded respectably within society and is always keenly dressed. She is everything a diplomat’s wife should be, but the person she portrays is far different from who she thinks she is inside. Curiously, she has hidden her most defining life moment from everyone in her life, especially those closest to her. Although Clare is in a place of great admiration, her secret is one that could bring down her entire international standing. Taking place during one very important day, An Unexpected Guest also incorporates flashbacks to retell Clare’s past that have never left her consciousness. Although the provided synopsis emphasizes the impacts of her son and the suspected terrorist to the plot, the largest influence was certainly Niall, Clare’s former lover who is purposefully prominent in her flashbacks. Through Niall’s presence, the issue of Northern Ireland’s politics comes to light; this is interesting juxtaposed with more recent wars and attacks (a few 9/11 references were made). I don’t know if I personally preferred her present life or if her past wasn’t as convincing, but I did not feel the fervent love Clare was supposed to feel toward Niall. As reckless as young love is meant to be, I could not tolerate the situations Niall put Clare through and was always relieved when the flashbacks ended. One thing I did enjoy was the description of Clare made several times–beige. Clare was too real in my imagination with her polished but understated clothing and her perfectly coiffed hair upon leaving the salon. The two items described as being passed down to her two sons were also interesting to read about: one a very grand family heirloom and the other a large original painting that hung in their residence. Reading this novel did make me a little hungry, and was thankful I got to partake in some fine dining as well. I wouldn’t describe this book as bad, but it wasn’t as gripping as I was expecting. I was mostly irritated with Clare’s mindset as well as her final decisions toward the end of the novel. The content that was political in nature was also not my favorite, but the details of the dinner party made up for it. Overall, An Unexpected Guest was an easy read for the poolside, but not as fluffy as I would have preferred. If Clare had made a shopping trip to Dior or something, I could have been swayed into a better opinion.